Johnny Depp in talks to join Meryl in "Into the Woods"
Several sources are reporting that Johnny Depp is in talks to join the cast of the film Into the Woods as The Baker. Variety includes Meryl as "in talks" as well, but we've known this for months. It's exciting to picture these two heavyweights teaming up for a big Rob Marshall musical. The fact that in April we're beginning to get additional possible cast members indicates a greater likelihood that the film, as I previously reported, may in fact begin principle photography in October. And again, any news on this film actually moving forward is great news. 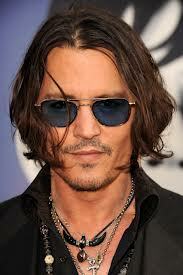 Let's hope Depp's involvement turns out to be more than a rumor! As for the here and now? There's the prospect of a new song (not least for Oscar consideration, one assumes) as and when Rob Marshall's film of Into the Woods revs up in August, with Meryl Streep inheriting Bernadette Peters' Broadway role as the Witch. I imagine it won't only be a song that's up for Oscar consideration when this is eventually released. The Chinese article suggested that shooting would begin in October. It's certainly possible that work will begin late summer with principle photography, including Meryl's shooting schedule, officially taking place in the fall. Regardless, this is just further confirmation that this picture is likely going forward, and more importantly, that Meryl will be involved. Woo hoo! Yesterday I finished the novel. For anyone out there thinking that Meryl has a chance at a double nomination for her supporting role as Altha Carter and lead role as Violet Weston in August: Osage County...not gonna happen. If the film's screenplay is to even remotely resemble the book, Meryl's part is not very big. This isn't to say that it's an unimportant role, but I'm guessing Meryl's choice to participate in this film was more to work again with Tommy Lee Jones and perhaps her daughter Grace. She and Grace will likely be in the same scene, but they don't interact or speak to each other in the book. As I believe I mentioned before, it resembles her participation in 2007's Evening, where Meryl played the older version of her daughter Mamie's character, and shared a scene near the end of the film with the great Vanessa Redgrave. Overall I really enjoyed the book. It was fun to picture Jones and Hilary Swank in the lead roles. In my post from last weekend about Hailee Steinfeld joining the cast, I wondered if the number of "crazy" women portrayed in the film would ultimately be decided as three or as four. In the book, four women are indeed taken to the end of the journey. It's certainly possible that the film version may have only three. IMDb has updated it's cast list to again include Miranda Otto, this time specifically listed to play Theoline Belknap. Only the character of Hedda Petzke is left to be revealed. Perhaps she has been dropped. I have my own thoughts on why she may be the odd one out, but I don't want to spoil any part the story with my hypotheses. Back to Meryl. It will certainly be fun to see her portray a mid-19th century minster's wife in the midwest. She and Jones will have a nice extended scene together. There's perhaps an opportunity for some good moments, but again, I'm speculating rather heavily because I have a feeling they'll take some extensive liberties with the screenplay. Altha Carter is a woman whom we expect to be very much in control, but is startled by the state of the women who have been brought to her in Hebron, Iowa. Jones's character is by that point in the story a changed man, and it's interesting that Meryl's character only sees him in this new way. I'm very much looking forward to this film, not simply for Meryl's part but because I think it's a fantastic story. Hopefully it makes it to the big screen by year's end. 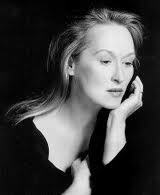 It's no secret that I hope Meryl one day breaks the all-time record for Oscar wins. 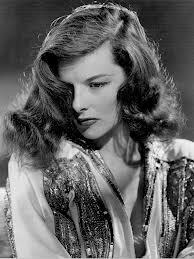 With four awards for Actress in a Leading Role, that record currently rests with the late, great Katharine Hepburn. At three wins, Streep is tied with Walter Brennan, Ingrid Bergman, Jack Nicholson and Daniel Day-Lewis. Considering Meryl only won her third last year, it may seem like I'm getting a little ahead of myself to assume or even wish that she ultimately land five. But hear me out. For quite some time, it seemed like Meryl was just destined to never win a third Oscar. It had been 29 years since she won for Sophie's Choice at the ceremony held in 1983. Finally, in 2012, she was awarded for her performance in The Iron Lady. Last year, I went back and forth between really wanting her to win and wishing for Viola Davis to be recognized for The Help. Ultimately however, I knew that if Meryl were to have a legitimate chance at getting her total closer to five, she needed this win...badly. To some, The Iron Lady was a mediocre film at best and considered Streep's performance to be more mimicry than fine acting. Evidently enough people at least disagreed with the latter notion, and Meryl went home with the win. Later this year, Streep will star in the highly anticipated screen adaptation of Tracy Letts's play August: Osage County. If one is to believe the hyperbolic positive reactions to an early screening, Meryl may be "undeniable" for another win. This is interesting because normally we would assume it's highly unlikely for an actor to win so closely to their most recent, and particularly Streep, knowing her history. Knowing what we know now, had she instead won for August: Osage County last year and then had The Iron Lady coming this fall, I would expect the chances for a second win to be much less likely. So the fact that Meryl already has #3 in the bag with a possible bravura performance as Violet Weston later this year should widen the eyes of many Oscar observers. I can't help but compare Meryl's Oscar path to that of Katharine Hepburn's. Hepburn won her first Oscar (also first nomination) in 1934 at the age of 26 for Morning Glory. Streep won her first (in her second nomination) in 1980 at the age of 30 for Kramer vs Kramer (supporting). Meryl won again only three years later for the aforementioned Sophie's Choice. After these early wins, the two both went three decades before winning again. Hepburn went 0-for-8 until her 1968 win for Guess Who's Coming to Dinner 34 years later, while Streep went a staggering 0-for-12 before her win for The Iron Lady 29 years later in 2012. Rather similar. What strikes me is the similar ages at which they both won their second lead actress Oscar. Hepburn was 60 and Streep 62. By the late 1960's I imagine Hepburn was beginning to enter the same territory as Streep had in the first decade of the 21st century, where such a revered actress strangely had only one lead actress Oscar to her resumé. Christina Drayton in Guess Who's Coming to Dinner, while a great film role, may not have jumped out as "Oscar bait." Conversely, although the role of Margaret Thatcher was textbook bait, The Iron Lady was certainly not widely considered a fantastic film. The compromise for both was that each film/performance provided an adequate vehicle for which to recognize these two great ladies and their monumental careers. The tricky part is that only a year after her second win in 1968, Hepburn earned her third statue for a brilliant portrayal of Eleanor of Aquitaine in The Lion in Winter (tied with Barbra Streisand in Funny Girl). As I eluded above, it takes a damn fine performance to win back-to-back Oscars (think Tom Hanks in Philadelphia and Forrest Gump or Spencer Tracey for Captain Courageous and Boys Town). Although it wouldn't be in back-to-back years, if Streep happens to win for August: Osage County, it'll be her second straight win as well as her second in three years. And, like The Lion in Winter, 'August' is an adaptation of a Broadway play which garnered a Tony award for its original female lead. This would theoretically bring their total wins equal to four apiece. Hepburn won her record fourth Lead Actress Academy Award for On Golden Pond in 1982 at the age of 74, thirteen years after her most recent win. This was her third straight win and last nomination (defeating among others, Streep, in her first nomination in the lead category). If their Oscar paths are to remain similar, is it unreasonable to expect Meryl to be recognized again when in her mid to late 70's? I think not. Assuming a win for August: Osage County next year (and subsequently several more nominations over the next decade), Streep could certainly break that seemingly unbreakable record Hepburn has held for over thirty years. With a fifth win (were it to be in lead), Streep and Hepburn would both hold four Lead Actress Oscars. Meryl would tip the historical scales with her early supporting trophy. Hailee Steinfeld joins "The Homesman"
This news is a little "un-new," but several sources are reporting that Hailee Steinfeld (True Grit) has joined the cast of The Homesman. Steinfeld is set to play Tabitha Hutchinson in the film. I began reading the novel two days ago and I'm up to the point where Mary Bee Cuddy (Hilary Swank) has agreed to serve as the homesman for escorting the "crazy" women across the frontier. So many sources I've read indicate that the number of crazies is three, but at least where I am in the book, there's every indication that there are indeed four. The actual trip has yet to begin however, so I suppose it's possible the number drops to three at some point. Grace Gummer as "Arabella Sours"
Sonja Richter as "Gro Svendson"
We've yet to learn who will portray Hedda Petzke and Theoline "Line" Belknap. Theoline is the main "touched" woman portrayed at the beginning of the book and from what I've read thus far, it could be an interesting role to play. This is assuming they've not written her out of the screenplay. I imagine not. I'll be sure to post another plot-spoiling update when I'm further along. Love her or hate her, Thatcher was an extremely memorable and groundbreaking figure as the first female leader of a Western nation. Meryl to play Altha Carter in "The Homesman"
Well, we now now which of the crazy women Meryl will be playing in The Homesman. The answer is none of them. IMDb has updated the cast listing for this film and they now reveal whom a few of the actors will be portraying. Meryl is listed as playing Altha Carter. Someone on the Meryl Streep forum who has evidently read the book reports that Altha is the minister's wife and woman to whom Mary Bee Cuddy (Hilary Swank) and George Briggs (Tommy Lee Jones) are bringing the insane ladies. Apparently her character is really only in one scene at the end of the book. This basically means that Streep's involvement is likely going to be more of a cameo than a true supporting role, and therefore, no Oscar buzz. I'm expecting the book in the mail in a few days, and this news makes me less excited to read it. But, at least it'll force me to make it to the end if I want to read the section involving Meryl's character. I shouldn't get too disappointed in the likelihood of Meryl's small part. This picture is possibly going to be released at the end of the year, and we'll already have pa-lenty of news to cover with the release of August: Osage County in November. Thoughts from cinematographer for "August: Osage County"
"You could just see the other 10 actors watching Meryl Streep and being amazed by her performance," Goldman recounts. "I remember Chris Cooper saying, 'I'd love to give an interview one day about my job as an actor and would probably just talk about these three days that we shot the dinner scene and just watching Meryl at work.'" I continue to white-knuckle it in regard to waiting until November 8 to see this film. Just a bit of warning to readers: if you think I've been obsessing about this project up to now...once trailers, interviews and clips start rolling out from production and cast, this blog will probably feel more like an August: Osage County blog. I'm owning it. I love this play, love this story and am super excited about seeing my favorite actor portray one of the more compelling and complex characters in recent cinematic history. Oh, and also expect the hyperbolic comments to continue as it pertains to this picture. If Meryl were not already considered a perennial nominee, this year sort of solidified her as a perennial "also-ran." This would make it her sixth straight loss, and incidentally was the only time she did not attend the ceremony when nominated. She was close to eight months pregnant with her fourth child Louisa at the time, so maybe she thought she'd sit this one out, considering she has little chance of wining. I have to figure Kathy Bates was a pretty sure thing for this year. She won the Golden Globe for Actress in a Drama (this was before SAG awards) and a couple of critics' circle awards. Angelica Huston won a few critics' awards as well, arguably more prestigious than Bates, but Huston had already won an Oscar for Prizzi's Honor (supporting) five years prior. Julia Roberts filled the youngin' slot for the year, while Joanne Woodward rounded out the field at the other end of the age range. Roberts won the Globe for Actress in a Musical/Comedy (beating Meryl), so I imagine she was likely second or third to Bates that year, with Meryl likely fourth or fifth. I haven't seen The Grifters or Mr. & Mrs. Bridge, but Pretty Woman and Misery happen to be two of my all-time favs. Meryl was without question fantastic in Postcards, and it was her first nomination in a comedy, but it wasn't her typical baity role. Bates was a refreshing and very deserving recipient. Meryl would take her longest break from the Academy after this nomination, having to wait five years before her tenth nomination for The Bridges of Madison County.